1. Some girls will take credit but remember to bring cash! 2. 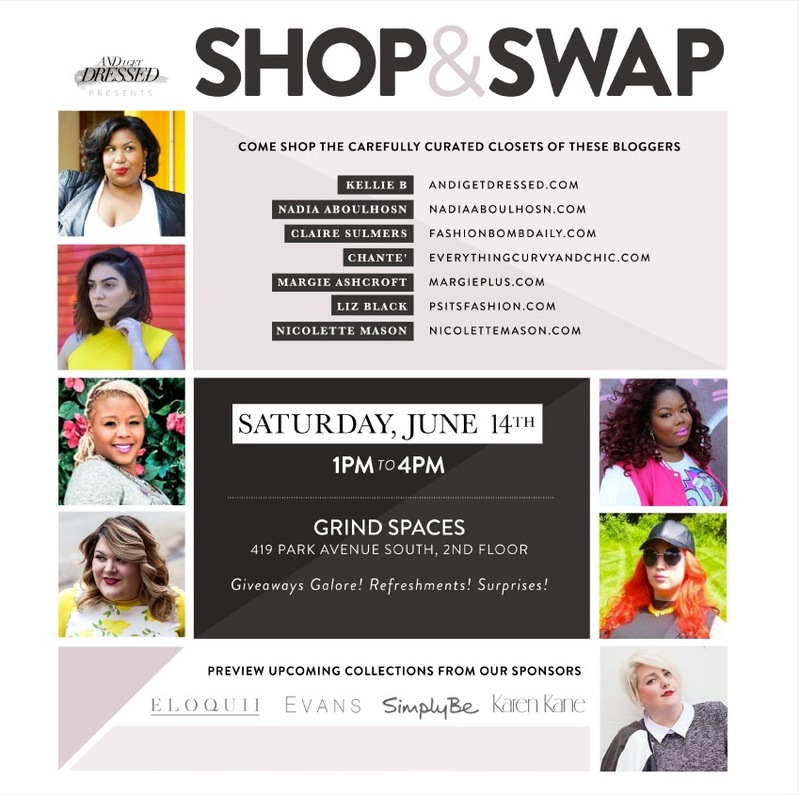 Our incredible sponsors Eloquii, Evans, Fashion to Figure, Karen Kane and Simply Be will be armed with loads of fashion for you to check out and fun prizes you can win through our Instagram contests. 3. We will also have a Win It! table. ASOS is giving away a $100 gift voucher, InStyle Essentials is giving away their four piece collection of shirts, Ted Gibson beauty is giving away their new cosmetics collection, Mod Cloth is giving away 30 gorgeous dresses, a Marc by Marc Jacobs beach bag and bathing suit from swimsuitsforall.com and James Jeans will be giving away five pair of jeans. 5. Soooo many surprises. We can't wait to see you! !